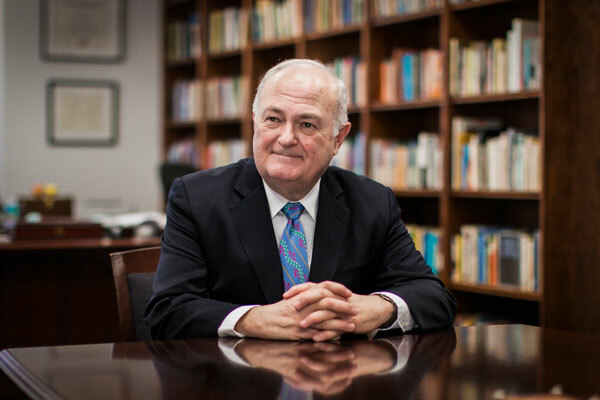 University President Steven Knapp condemned recent racially-charged incidents at D.C. area universities in a statement Friday. University President Steven Knapp released a statement Friday condemning recent racist incidents at D.C. area universities. “Such acts are not only incompatible with the values essential to the pursuit of inquiry in an academic community; they strike at the very heart of our democracy,” he said in the statement. Knapp’s statement was in response to two racially-charged incidents reported this week at American University and the University of Maryland. Earlier this week, bananas were found hanging in the shape of nooses on American University’s campus. The bananas were marked with the letters AKA, an abbreviation for Alpha Kappa Alpha, one of the school’s predominantly black sororities, according to a statement from AU. Three days after the incident at AU, campus authorities at the University of Maryland reported a noose was found in the kitchen of a fraternity house on April 27. UMD President Wallace Loh called the incident “despicable” in a statement Wednesday. Knapp said he spoke with AU President Neil Kerwin, to express his sympathy and offer GW’s support as AU addresses the incident. “In times like these, uniting as a community and expressing our solidarity with students and colleagues at colleges and universities across the nation are the best ways to ensure that the forces of hatred do not succeed,” he said.